Taipei is an inexpensive city to explore relative to Tokyo, Singapore and even Seoul. It has the same level of development and transport system, but not as expensive. It is easy to get to destinations because they are within walking distance from train and bus stations. Food is also affordable and good value for money. Since I was traveling alone, I took public transportation to all of the places I visited, since they were all accessible by train or bus. I went during spring, late February to early March, hence the cold weather clothes and jackets. I didn't get to do much on the first day since I arrived at Taipei Main Station at around 4am. I decided to sleep for a few more hours and left the hotel just before lunch time. I then went to Yehliu Geopark, the bus that goes to the park is near Taipei Main Station. The trip takes around an hour. There are a lot of different mushroom-like rock formations in the park. It was raining most of the day during my second day in Taipei, but it didn't deter me from exploring the city. I went to Shifen Railroad Town and the waterfall. 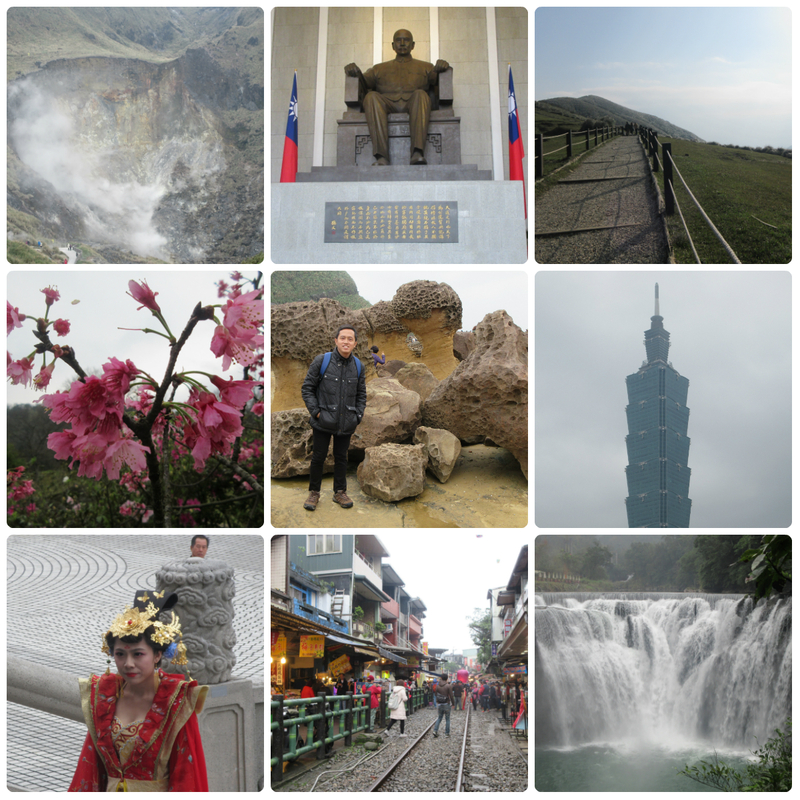 On the third day I explored the city and went to places such as the Sun-yat Sen and Chiang Kai Shek Memorial Halls, different night markets (Shilin, Xichang and Guangzhou Street) and Longshan Temple. When the sly cleared and it looked like it wouldn't rain, I finally decided to visit Yangmingshan National Park. It was on the itinerary but I kept pushing it to another day because of the inclement weather, but, thankfully on the 4th day, it didn't rain. The park has different trails and areas that are distinct from each other. There are buses that go to various places in the park for TWD 15 per way. Bring your transport card because the buses don't give change. On the 5th day I just went to Jiufen and explored Ximendi, I didn't do much this day because I just wanted to relax and buy souvenirs. I would definitely return to Taipei and other parts of Taiwan in the future, because there are plenty of other things to do and see.